What is Service of Process and Why is It So Important? 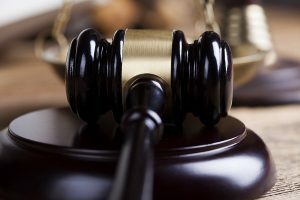 If you have ever been involved in a lawsuit, or spoken with a lawyer about a legal claim, you have probably heard the term “service of process” thrown around. It is actually a critical element to every lawsuit and not something that an attorney can take shortcuts with. It is therefore important that we explain the concept of service of process and why it is actually a big deal. The issuance of a “summons” within five days of the filing of a complaint. The proper person will then attempt to hand the complaint and summons to the party at the address listed in the complaint. Attempts to serve must be made within 60 days and if the documents are personally served, then the proper person will sign and return the summons to the clerk. If the server is unable to serve the party within the 60 days, then the summons must be returned to the clerk with a notice of nonservice and an explanation for why it was not served. The simple answer to this question is “Jurisdiction”. Jurisdiction is a Latin word that literally means “law speak” or “to speak the law”. In order for a court to enter any sort of order against a person, it must have jurisdiction over that person. And in order to gain jurisdiction over a person, that person must have been served with the lawsuit. Significantly, even if a court were to enter an order against a person, if that individual was not served, the court’s order is unenforceable as to that person. Personal jurisdiction has constitutional implications, and serves several purposes. This includes the right to notice. U.S. citizens are entitled to “due process” under the 5th and 14th Amendments to the U.S. Constitution as a matter of fundamental fairness. For lawsuits, this due process involves receiving notice that there is a legal proceeding against you, and what type of legal proceeding you face. Separations, divorces, and child custody disputes are intense, drawn-out experiences. They are also complex with many legal requirements that can invalidate hard-fought orders. At New Direction Family Law, we take pride in providing accurate, meticulous legal guidance to our clients. Let us help you by getting things right the first time. We practice in Wake, Johnston, Lee, Harnett, Cumberland, Nash, Granville, Franklin, and Durham counties. 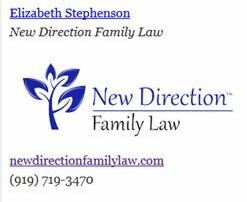 Call New Direction Family Law today at (919) 719-3470 to schedule a consultation, or visit us online at our website.